All Minnesota students deserve to achieve academic success. Through partnerships, policies, and advocacy, we can build a movement that supports race equity and education excellence for all students. Join us to support equity, inclusion, and multilingualism in Greater Minnesota schools! 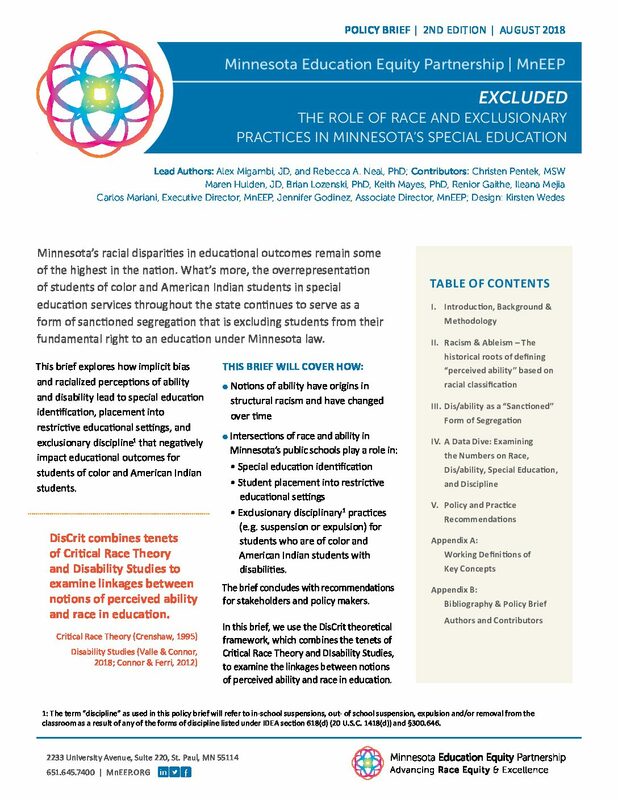 "Excluded": How exclusionary practices in Minnesota schools negatively impact students of color and American Indian students.